Students from Varanasi organised Ganga cleaning drive in Varanasi in november 10th. They spread an awareness message to keep Ganga free from pollution amongst population. Today we discovered that Naganath actually has an english site on Blogspot that is dedicated to his hunger strike mission in Benaras, India. Martin is also uploading his interview with Naganath on YOUTUBE...although it is currently in Hindi only. I will post the link regardless so that you can have a look. 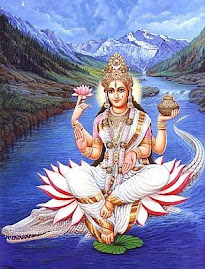 But do check out this blog about the Ganga, it is worth a read. The more we inform ourselves about what is happening to the Ganga, the better the chances that we can help contribute to its restoration. 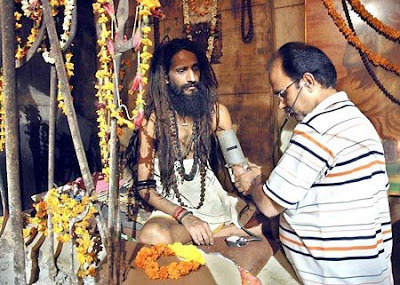 Varanasi: A youth, Sanjay Saidpuri, launched an indefinite stir on Wednesday by lying on thorns at the district headquarters in support of the on-going fast-unto-death stir of Baba Nagnath. The latter has been agitation for the past 411 days for the release of the Ganga from Tehri Dam. Saidpuri reached the district headquarters to launch his stir in support of his demands. He claimed that due to the indefinite fast-unto-death stir, the health condition of Baba Nagnath was deteriorating sharply. He alleged that on the directives of the district magistrate, Nagnath had been admitted to SPG hospital but he was not being treated properly. He held it unfortunate that despite sending several letters to the Union government, no attention was being paid to the demands of Nagnath. He said he would continue his stir until the water was not released from the Tehri Dam to maintain proper flow of the Ganga. He also forwarded a memorandum to the President and Prime Minister.
" 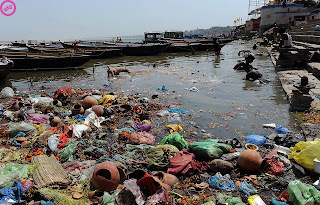 NEW DELHI: The National Ganga River Basin Authority (NGRBA) on Monday approved an ambitious project to prevent the discharge of untreated municipal sewage and industrial effluent into the Ganga by 2020. An estimated investment of Rs. 15,000 crore over the next 10 years will be required to create the necessary treatment and sewerage infrastructure for the ‘Mission Clean Ganga.’ The resources will be provided by the Centre and States over a 10-year period to be shared suitably after consultations with the Planning Commission. " We offer it to swami Nagnath especially since he has been admitted again in hospital on may 27th. For Ganga movement, Swami Nagnath performed Homa with Banarasi Brahmin on Dev Diwali, after more than 170 days of fasting. Since the goverment didn't offered correct answer to Gangaji problems, the movement continues!